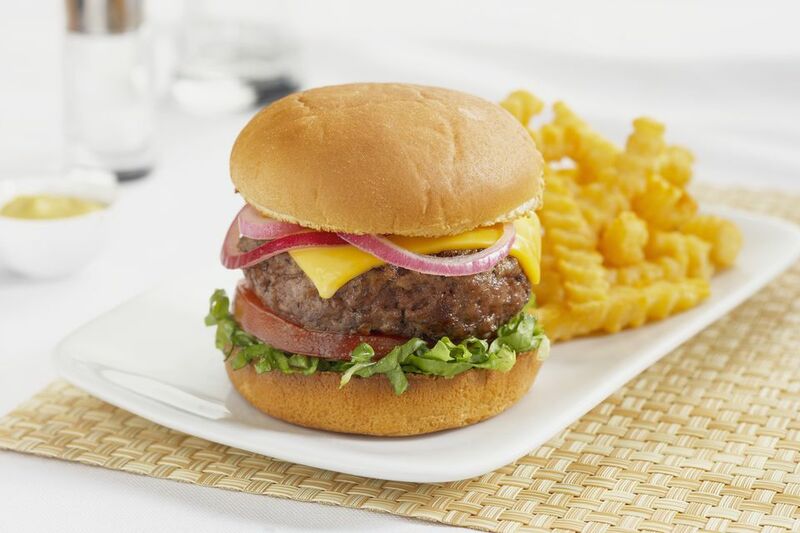 This slow cooker hamburgers recipe is so easy the kids can make it all by themselves. Just make sure they wash their hands after touching the raw meat for these Crockpot burgers. Reprinted from Fix-It and Forget-It Kids’ Cookbook (compare prices) by Good Books with permission. Place the beef, 1 tsp. of salt and pepper into a large mixing bowl. Use your hands to mix the salt and pepper into the beef. Divide the hamburger mixture into eight balls, each the same size. Flatten so they look like hamburger patties. Place the patties in the slow cooker on top of the onions and celery. Try not to stack them. If you have to, stagger them, so they don’t lie exactly on top of each other. Wash your hands well. In a medium-sized mixing bowl stir together the tomato juice, minced garlic, ketchup, Italian seasoning, and remaining salt. Pour this sauce over the hamburgers in the slow cooker. Cover the slow cooker, and cook the burgers on low for 7 to 9 hours. Place each burger with a bit of the sauce on a hamburger roll. Add toppings of your choice: cheese, pickles, lettuce, tomato, or mustard.